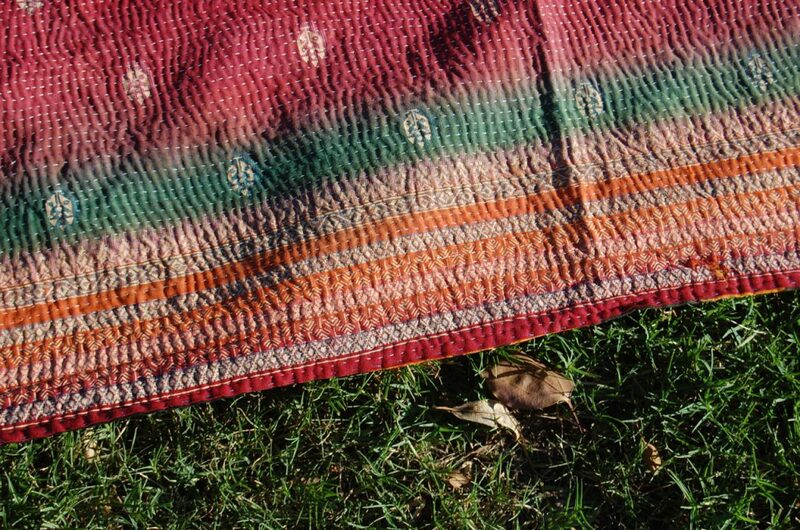 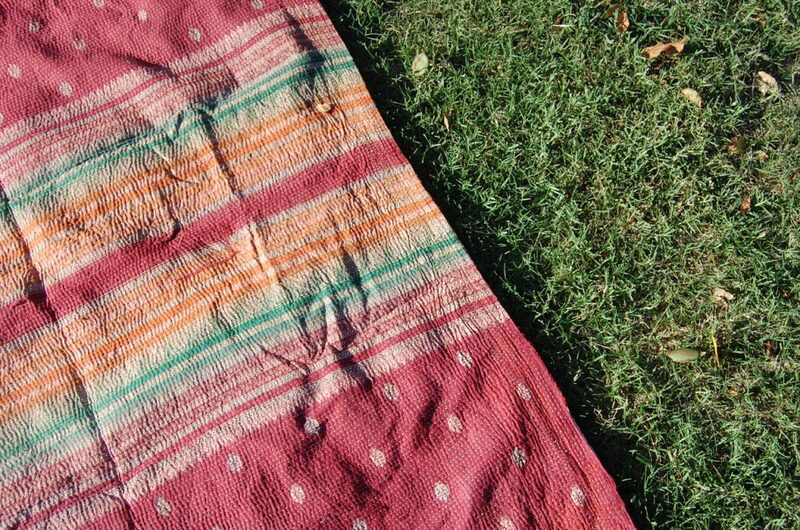 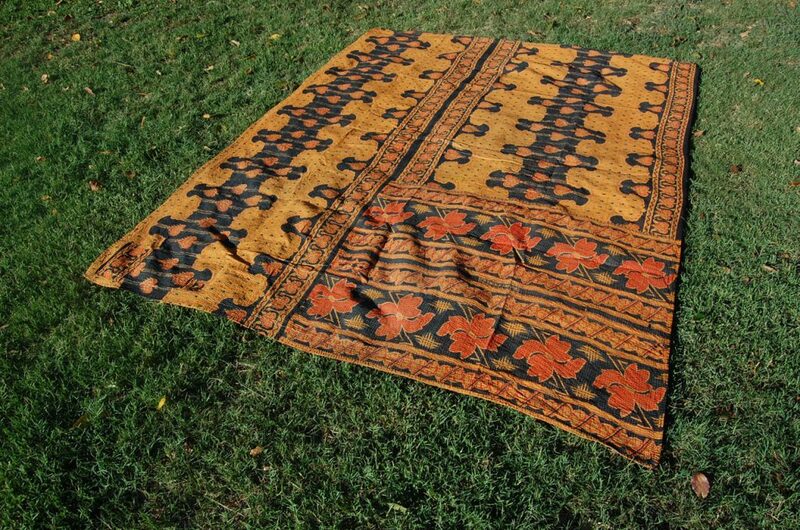 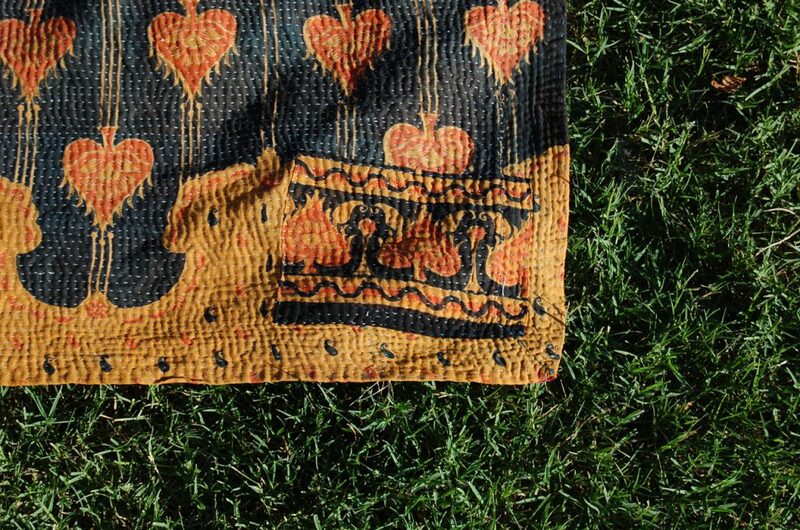 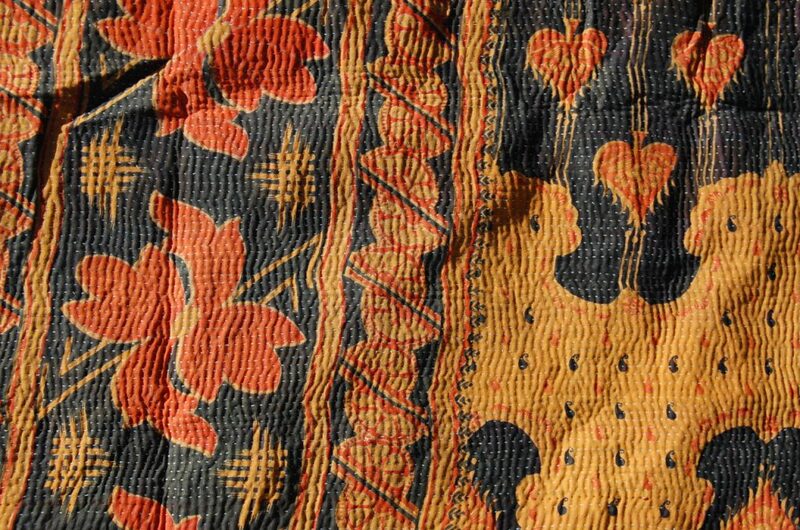 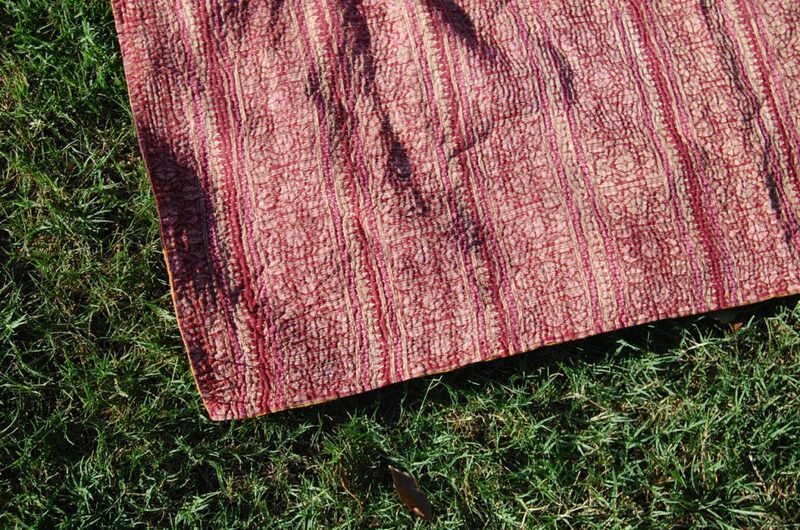 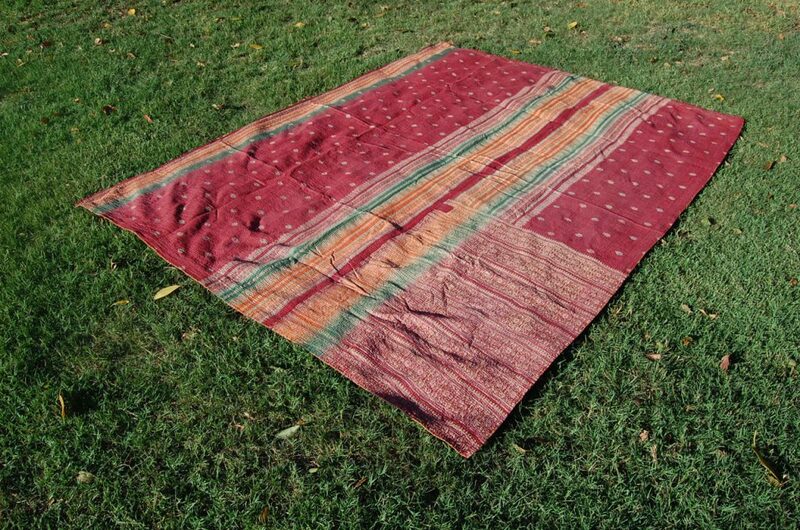 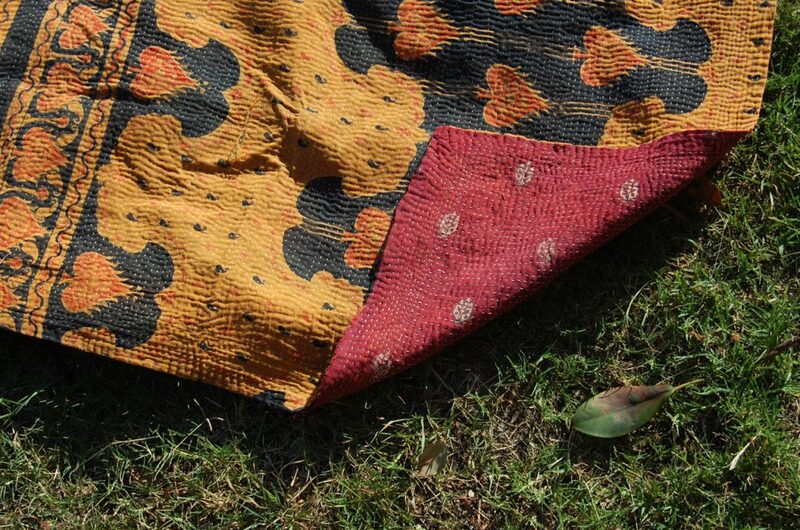 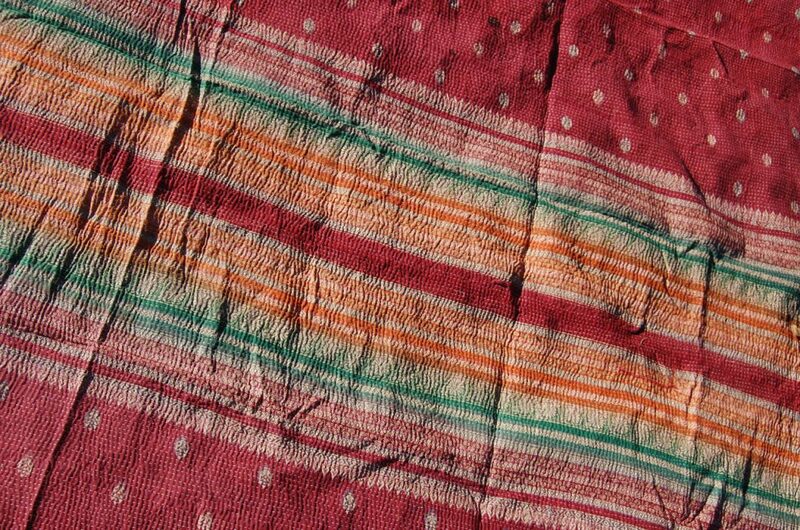 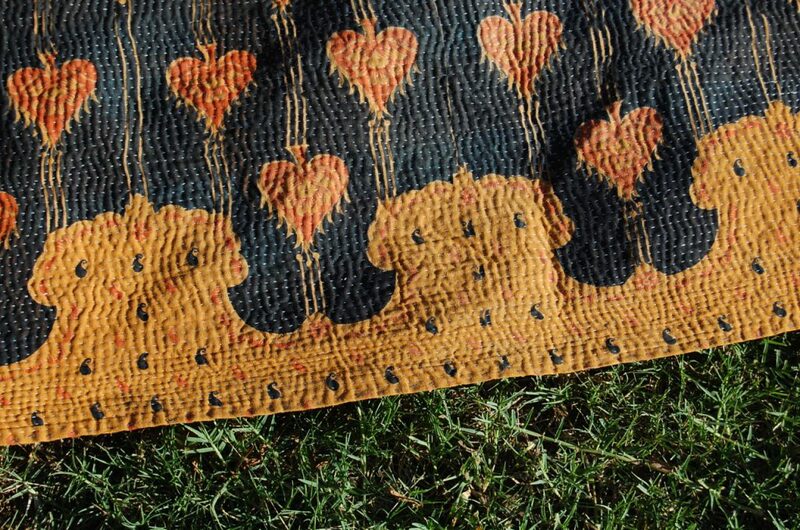 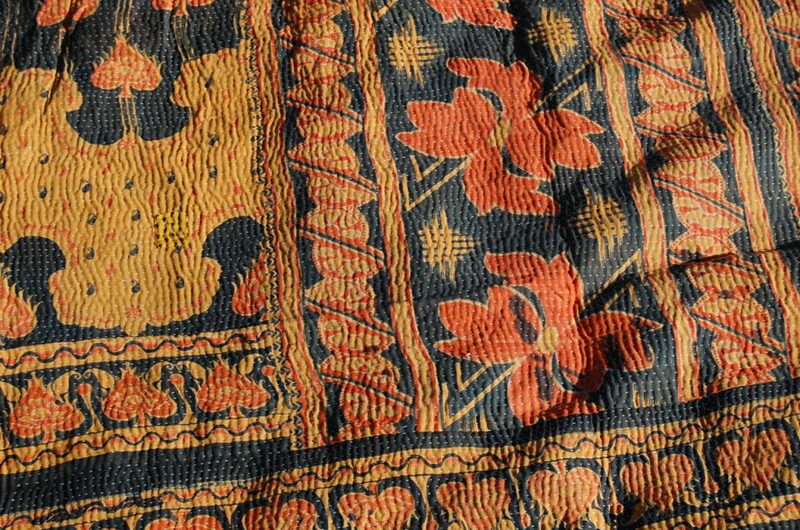 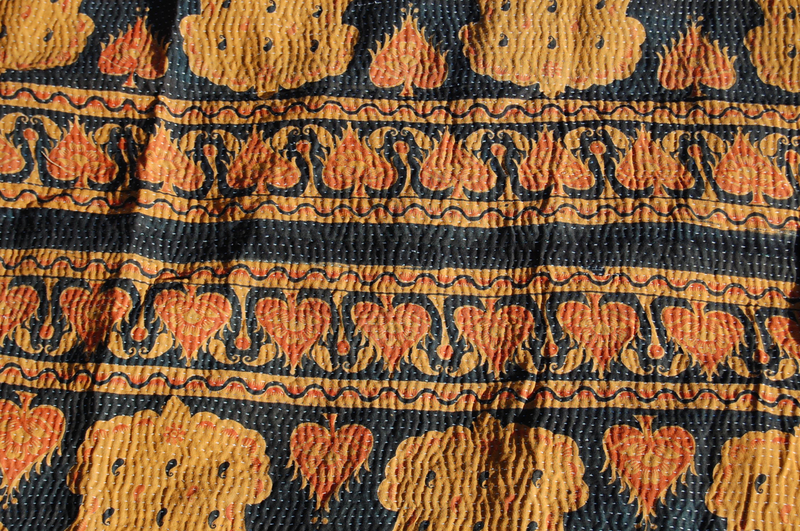 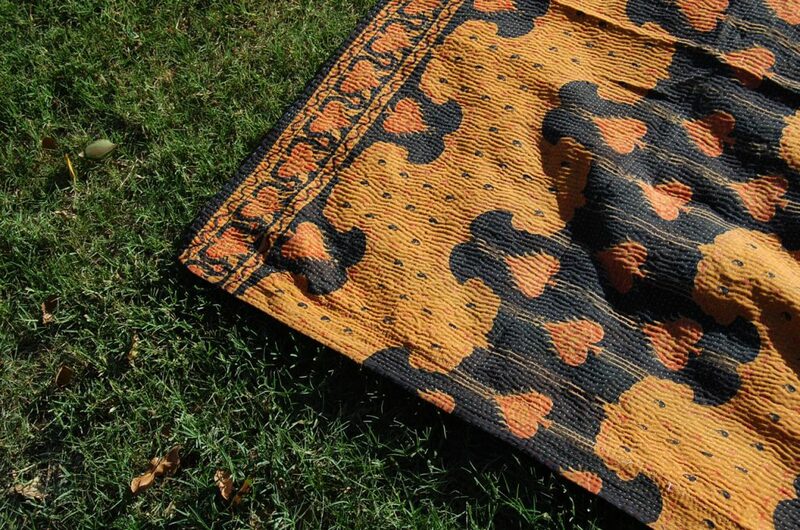 DEVANI is a lovely Indian kantha quilt made from repurposed cotton saree cloth, with a bright but sophisticated print. 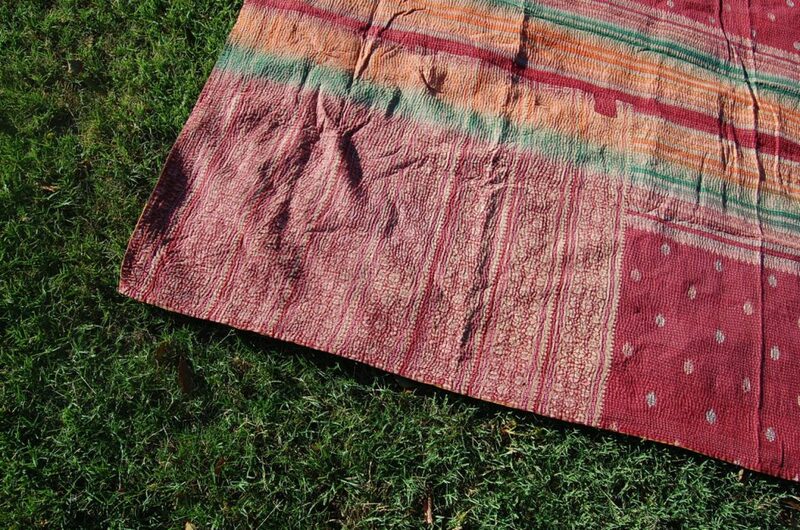 This kantha is well-sized – will fit on a double or queen bed – and has a beautiful aesthetic – dreamy waves of texture, bright colours and perfect weight for a bedspread. 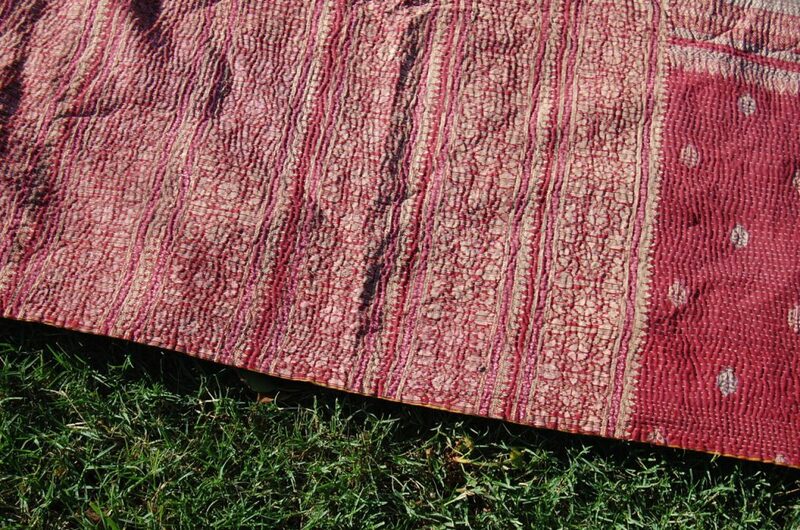 We especially love the silvery-gold on the burgundy side of the quilt – adding a special elegance. 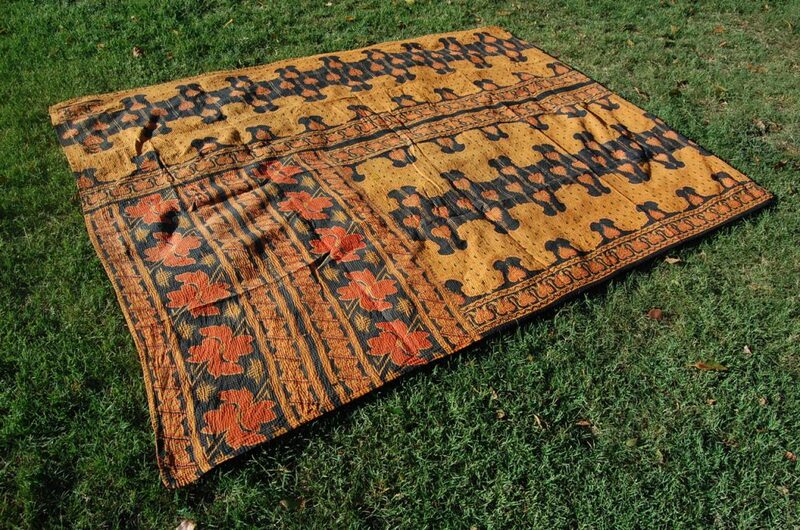 DEVANI is available for purchase here.